Do RPPs and RRSPs act as substitutes for one another in retirement savings patterns? At first glance, this appears to be so, based on a new study released this week by Statistics Canada. The big finding is that workers who are self-directed savers benefit less than their co-workers who don’t tend to save enough for retirement when RPP contributions automatically increase. As a result, pre-retirees and their tax and financial advisors may wish to take a greater interest in changes to employer-sponsored pension plans, in measuring savings capacity for other vehicles such as RRSPs or TFSAs. Among workers with annual earnings near the Canadian average, a $1.00 automatic increase in Registered Pension Plan (RPP) contributions results in an average reduction in Registered Retirement Savings Plan (RRSP) contributions of $0.55. The net result is that the sum of RPP and RRSP contributions increased by an average of $0.45 across workers with different propensities to save. So, it can be concluded that assisted or compulsory retirement savings programs at work increase net savings for workers who save the least on their own. But for regular savers, increases in RPPs direct savings away from other vehicles; in other words, the extra money going into an employer assisted plan simply redirected money that would have gone to self-directed savings. The study did not comment on how an automatic increase in RPP savings affected other savings opportunities, like the TFSA. This is interesting financial behavior. Is there an actual cash flow limit – when increased compulsory savings are implemented – that thwarts other savings opportunities which may have better benefited the client in the future – tax free savings in a TFSA, for example? Tax and financial advisors and their clients who are concerned about the level of tax free retirement savings their clients can accumulate for the future may want to take note of this in start-of-year investment and retirement planning. Averaging savings into and out of the right buckets – both before and after retirement – is the objective of astute long term retirement planning. The opportunity is to save with purchasing power – after taxes, inflation and fees. A great relationship with the right questions of tax and financial advisors, beginning with the annual tax filing routine that’s just around the corner. Engaging with a professional who has a designation in Real Wealth Management™ can embellish richly on those conversations. Best wishes for a peaceful and joyous holiday season. Evelyn Jacks is author of a new book Family Tax Essentials and President of Knowledge Bureau, an educational institute focused on excellence in financial education and publishing. NOW AVAILABLE: Evelyn Jacks’ Family Tax Essentials. How to Build a Wealth Purpose with a Tax Strategy. It’s more important than ever for Millennials and their Boomer parents to start discussions about multi-generation tax, retirement and financial planning, and after dinner story-telling over the holidays is a great way to start a new financial journey in 2016. Just how do you build a Wealth Purpose with a Tax Strategy? 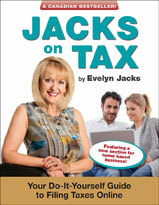 Evelyn Jacks’ Family Tax Essentials will provide you with some great new ideas! “Evelyn Jacks shows Canadian families how to use tax planning to save thousands over the years through family income splitting and asset accumulation. This book is a must-read if you want to build wealth and achieve your financial goals.” Gordon Pape, bestselling author of Tax Free Savings Accounts. You are invited to meet Chet and Catherine and experience a snapshot of their financial life. This newly engaged couple work at establishing their secure financial future by planning family tax matters together with their parents and their trusted accountant, Malcolm. In the process, they learn to improve their families’ Wealth Potential by learning important tax strategies. PRESERVE: Live Your Wealth Purpose! What made Chet and Catherine successful in their financial life a definitive approach to their money matters, enabled by a deliberate process for financial success. Also, because of an excellent relationship with their trusted financial advisors, great conversations with their parents, and a resolve to know more about their financial future, they were able to achieve both short and long term goals faster than the norm, by paying attention to their tax advantages. Evelyn Jacks is Canada’s most respected educator in tax and financial literacy and one of Canada’s most prolific financial authors. She has penned 52 books, many of them bestsellers, including Jacks on Tax, Essential Tax Facts and Make Sure It’s Deductible. She was recently named one of the Top 25 Women of Influence in Canada for the second time. Evelyn is also the Founder and President of Knowledge Bureau, Canada’s leading national educational institute for continuing professional development in the tax and financial services. Evelyn has developed curricula for hundreds of certificate courses leading to the prestigious MFA™ (Master Financial Advisor) and DFA-Tax and Bookkeeping Services Specialist™ Designations. Evelyn has been influential in advising governments on tax and financial literacy policies. She was appointed by former Finance Minister Flaherty to the Federal Task Force on Financial Literacy, and by the former Premier of Manitoba, Gary Filmon, to the Lower Tax Commission, to advise on the direction of the provincial tax regime. Recently she has co-founded the Manitoba Financial Literacy Forum in partnership with the Manitoba Securities Commission, dedicated to increase financial literacy in that province. She is also a well-known national commentator, keynote speaker and budget analyst who has written thousands of articles, and spent countless hours teaching millions of average Canadians about their rights and opportunities in filing tax returns, volunteering her time on newscasts, chatrooms and talk shows from coast-to-coast. Evelyn has been a role model for women in business. Amongst her accomplishments, Evelyn is a past President of the Manitoba Club, Western Canada’s oldest private business club and the recipient of the Rotman School of Business Canadian Woman Entrepreneur of the Year. Author Evelyn JacksPosted on December 17, 2015 Categories Income TaxLeave a comment on NOW AVAILABLE: Evelyn Jacks’ Family Tax Essentials. How to Build a Wealth Purpose with a Tax Strategy. The Federal Government introduced a Ways and Means Motion on December 7 that will implement the promised middle income tax cut to 20.5%. In addition, there are a host of new tax increases for high net worth clients: Canadian retirees and business owners that tax and financial advisors will want to reach with planning advice soon. A reduction in the 22% personal tax rate to 20.5% starting January 1, 2016. A new 33%t personal income tax rate on taxable individual income over $200,000, starting January 1, 2016. Tax-Free Savings Account (TFSA) annual contribution limits reduced back to $5,500 from the current $10,000, together with a reinstatement of indexation for 2016 and subsequent taxation years. Proposals for the removal of the Family Tax Cut for 2016 and cancellation of the UCCB in favor of a new Canada Child Benefit, to begin in July 2016, based on 2015 family net income, are yet to be introduced. Early registration is accepted before December 31 for sessions being held in Winnipeg, Calgary, Vancouver or Toronto. Also to be discussed: changes to child care expenses and refundable/non-refundable tax credits, the value of donations for high net worth clients, the new T1135 Foreign Income Verification Form, strategies for filing final tax returns, transferring assets from senior to junior family members and from proprietorships to corporations. A thorough review of pension income splitting, investment planning and capital gains planning will be featured. Featuring some of Canada’s most experienced tax experts and special guests who are experts in security, technology and software, tax, bookkeeping and financial advisors have an opportunity to update their tax knowledge, and think strategically about running a more successful, digital tax preparation, bookkeeping and financial planning practice given these recent new developments, at the Distinguished Advisor Workshops. These workshops feature expert instruction, PowerPoint presentations and what many attendees call the advisor’s “Tax Bible”; a 300-plus-page Knowledge Journal that describes tax changes line-by-line. Special Reduced Tuition Fee Rates apply before December 31 for Alumni, Designates and Groups. The assets controlled by today’s 34-year-olds will quintuple in coming years, but only 17% of adult children have a relationship with their parents’ advisors. Ignoring them may be one of the most significant mistakes today’s advisor may be making. In Canada, more than 85% of advisors have over 10 years’ experience in the industry, and 44% have 10-20 years; however, client bases are getting younger as wealth begins to transfer to the next generation; as a result, new solutions will be required to service the needs of those younger people. In fact, the coming wealth transfer is massive: about half of all investible assets will be passed on from existing clients to their partner or their children. Here’s the bad news for advisors: seventy-five percent of widows fire the financial advisor in the year after their husband dies. It’s important to establish relationships early, as couples contemplate their financial future together, rather than later. Millennials, on the other hand, with their generally high levels of student debt, may not look that appealing as clients on the surface. But they should be thought of in a different way today: as HENRYs: High Earners, Not Rich Yet. These folks are the high-net-worth clients of the future and they need professional advice to plan life and financial advice. “To grow your practice in the future, you need to position it now to serve more of these younger clients. You need to find ways to serve them profitably today, although they do not bring the high net worth of your boomer clients . . . yet,” VanDerSchie pointed out. Boomer clients concerned about controlling the preservation of family wealth will want to initiate these conversations between advisors and their offspring. He also noted that more and more firms are adopting a hybrid business model—digital combined with the human element—to serve the full range of their client base and to lay the foundation for growing their business with a whole new generation of clients. Clients will need education around those new models and how they impact their relationship with the advisor and his or her firm. Nicolas asked advisors to consider the full spectrum of investment advice, from highly customized for the high-net-worth client to automated robo-advice in order to better determine where groups of clients fall on the spectrum and what the appropriate service level is for each segment. VanDerSchie noted that firms that offer this kind of hybrid solution for clients who are underserved by the full-service business model, command ten times the assets compared to those who offer digital (robo-advice) only. “Obviously the power of the human component is enormous, even if it’s on a call-in basis only,” he said. Allows you to service a larger number of multi-generational clients with varying degrees of wealth. Enables you to focus on areas that add the most value and to outsource those that don’t, increasing the efficiency and profitability of your practice. Frees you up to be a relationship manager rather than just an investment manager, and to add indisputable value for your clients as a result. The moral? It’s a new world in the financial services. Incorporating robo-advice will help advisors stay relevant and to grow in the future; and may provide a number of new benefits to both Boomers and Millennials. Evelyn Jacks is author of a new book available now: Family Tax Essentials: How to Build a Wealth Purpose with a Tax Strategy. To obtain a copy visit Knowledge Bureau website.